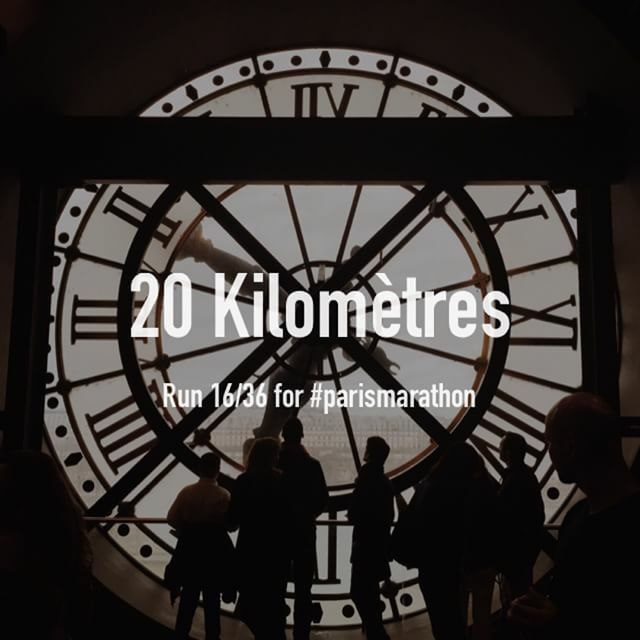 Paris Marathon 2015 — Hi, my name is Tomomi. All smiles... very early in the race. It's not for me. After years of actively expressing disinterest in running, I gave in to the signs that the universe laid out and registered for my first marathon. My 2015 goal to take the triathlon adventure one step further for Ironman 70.3 Taiwan had been thrown out the window the second my move to France was confirmed. Training for a half Ironman and moving to the other side of the world would be fun... but not at the same time. And so on April 12th, 2015, I ran the 2015 Schneider Electric Marathon de Paris. My time was 5:39:42. That's the fact what will remain on paper but it was really the months leading up to it that brought meaning to this milestone. The training gave a much-needed rhythm to a new life and a unique way to explore a new city. Twenty runs for a total distance of 196.4km, and countless conversations and words of encouragement from friends, new and old, that shaped this journey across the finish line. That's my marathon story. I created a plan on MY ASICS to run twice a week with high intensity, based on my time for a half marathon in January 2014. I had complete faith that this plan, if executed as intended, would carry me for 42.195km. What the plan taught me about running could fill a dozen blog posts but if I were to chose the most important one, it would be about managing pace. I am now able to have a fairly precise grasp of how fast I'm running, regardless of how tired/bored I feel, and adjust accordingly. This is a most amazing and unexpected improvement. Religiously following the plan was fun until I was completely derailed by a long business trip to Tokyo. It was peak hay fever season and the symptoms were so bad that I couldn't even get out of bed on my last day there. This must be how Atlast felt... if the boulder sat on his face. Unfortunately, this coincided with the "Run Longer" phase, which had the crucial long runs before the pre-race tapering period. I went into race day having only logged a 25km run as my longest run ever. All of the above is clearly reflected in my race performance. I had textbook consistency in the first 30km, managed to hang on for another 5km after meeting friends, and faded in the final stretch in Bois de Boulogne. There were plenty of taller people that were walking faster than my dreary shuffle. My goal was to finish, and finish I did, but a sub 5 would have been nice. The training never lies. Never. Disclaimer/context/brag - I helped launch MY ASICS. I wouldn't be a product designer if I undertook a project like this without analyzing personas and grokking their tools and habits. The digital landscape has changed considerably since I was knee deep in building MY ASICS a few years ago, and taking a deep dive into the world of running apps, circa first half of 2015, grew into a constant of my training. Here's a list of apps that I used, in no particular order. While there's quite a bit of feature parity (except for the Zombie app, of course) there are differences that will easily determine if it's the best app for you. What's funny/sad is that reviews on neither tech nor running sites go into that kind of detail. People tend to stick with the first or second app they try, which is usually 1) what their friends are using 2) what they happened to find in the app store 3) Nike+, if they're a Nike fan. Obvious biases aside, my definitive recommendation for race training at all amateur levels is a combination of MY ASICS and Strava - MY ASICS to know how to train and Strava to track it. Plus Instagram, if you're inclined to share online. I don't expect this situation to change for a while, even if the advent of smart watches and wearables will already shake up the landscape again in the second half of 2015. Which is not a segue into thinking about a second marathon. Just sayin'. I'll just let it be... and rise to the challenge again, when the time is right! Oh but it was a grand day!